Artillery played an important and perhaps decisive role at the July 1863 Battle of Gettysburg. Although many hundreds of books have been published on the battle, few have focused on the artillery. Silent Sentinels fills this flaring gap in the literature. Unfortunately, due to sales rights restrictions, we cannot offer Silent Sentinels for sale in your country. This well-written and illustrated study was designed for both the casual battlefield visitor and the serious scholar. 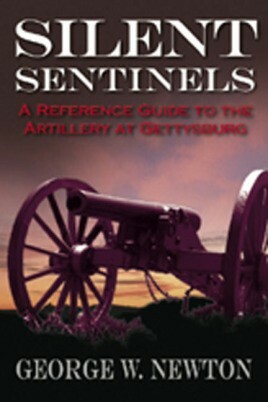 The former will use Silent Sentinels to tour the battlefield, browse existing guns, ponder the many photographs, and learn more about artillery in general; the latter will find the extensive primary sources, diagrams, appendices of numbers and losses, and informative discussion of organization and tactics an indispensable reference resource. Silent Sentinels discusses in detail every gun-type used at Gettysburg, the equipment needed to operate the guns, their organization, and the tactics employed by both Union and Confederate artillery men. In addition to a history of the artillery and how it was used, the author includes chapters on the park’s collection of 436 guns, the pieces on display at the field today, how to identify the different types of cannon, and how to identify the date and place of manufacture. Silent Sentinels concludes with a driving tour of the battlefield, specially designed with the artillery in mind. This lovely historical guide, complete with detailed endnotes and bibliography, will be a welcomed addition to the growing Gettysburg titles.